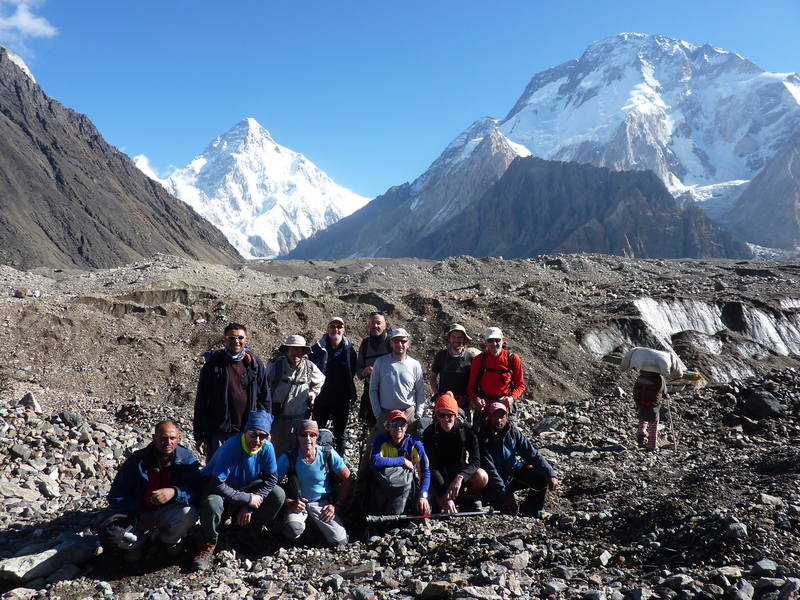 Read Mark’s full report of their expedition to Kharut Pyramid and K2 Base Camp. After a relaxing day in Skardu yesterday it is back to business. We have all the expedition equipment to unpack, dry and repack before it gets put into storage for next year. Last night we said goodbye to our awesome cook, our fantastic cook boy and our great high altitude porter. This morning Pete, Paul and Di said goodbye to Jake as he tried unsuccessfully to fly to Islamabad and now has 15 hours of overland transport to look forward to. 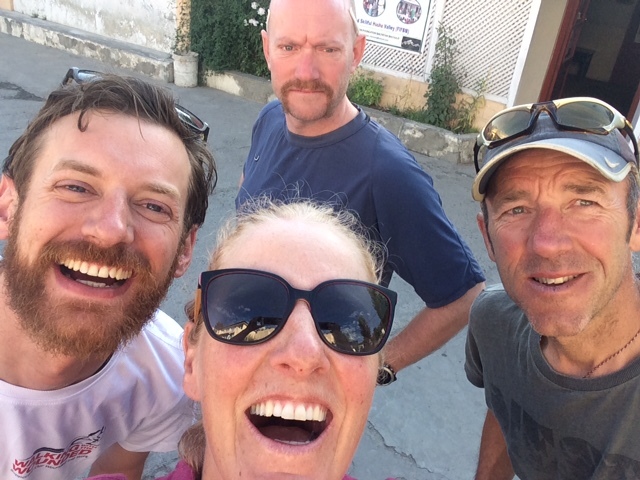 22nd July – Lee called today to report that the team are all relaxing back in Skardu after a long 7 hour journey. They are tired but in good spirits. For most of the trip they have been walking 7-8 hours a day so they will enjoy the chance to wind down in Islamabad when they fly back there tomorrow. 28th July: Mike called today to let us know that the team has arrived safely back in Islamabad. There were very few flights out of Skardu so they travelled back via the stunning Barbusa Pass and Nagar valley. 4 of the team have already departed for their journey home and the rest are recovering in the hotel out of the heat, before their early morning departure tomorrow. As Mike said, there is just time for a final curry, a quick watch of the Olympics on the TV, and then they will be ready for off, laden down with souvenirs. 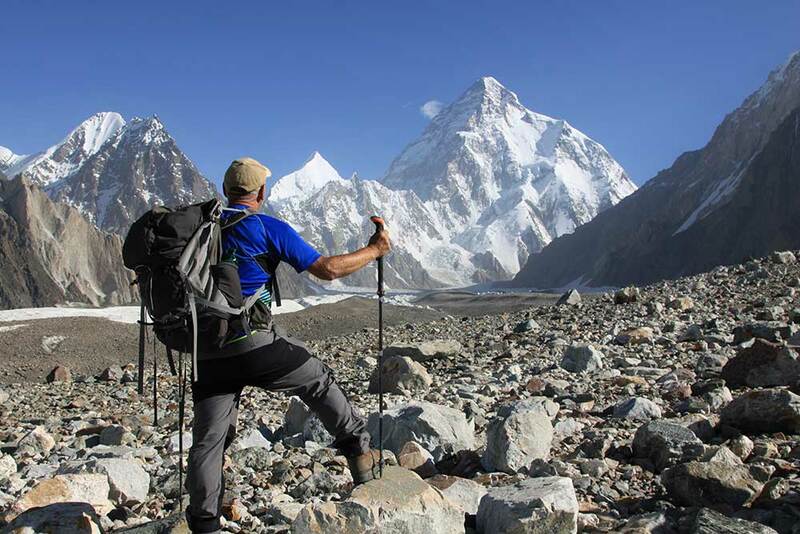 Congratulations to all the team for making it to K2 Basecamp, and we wish you a safe journey home. Team: Jane F, Jim G, Philip C, Bob H, Andrew G, Shawn G, Paul M, Barry H.
1st Aug – The team have now arrived safely back in the UK. Two years have passed since the decision was made to attempt K2. 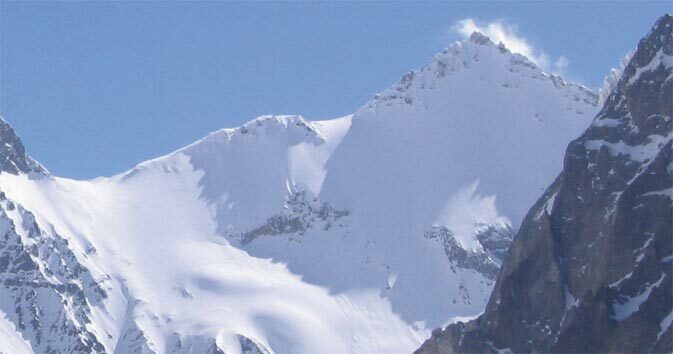 We had summitted on Everest on the 16th May 2002 and had vowed never to set foot on another 8000m peak after the months of discomfort and the debilitating effect of altitude on mind and body…. K2 Base Camp Trek & Kharut Pyramid 2006 Expedition News. K2 Base Camp Trek & Gondogoro La 2008 Expedition News. K2 Base Camp Trek & Gondogoro La 23 July 2008 Expedition News.